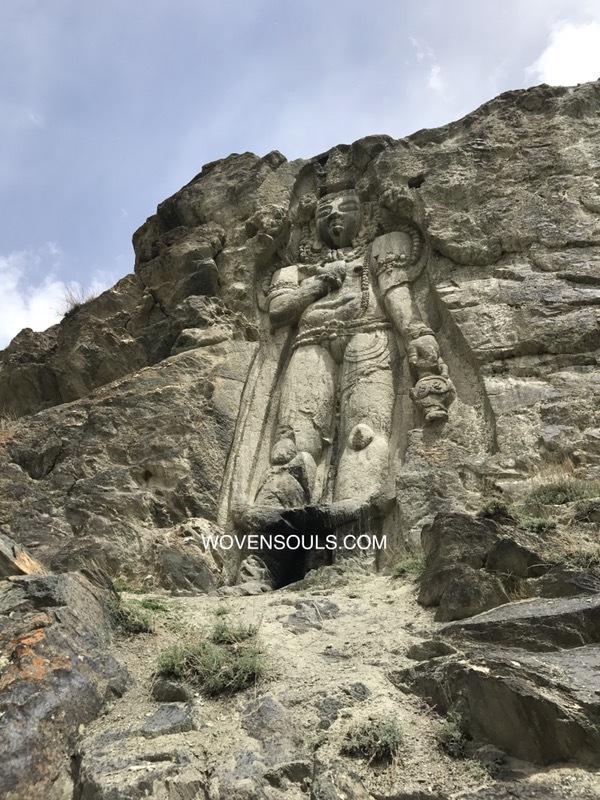 A short drive outside Barsoo Village which is a short drive away from Kargil which is a long drive away from the nearest Airport Leh, one can see and touch centuries-old Buddhist art that uses the mountain as a medium. Named the Barsoo Chamba the villagers say it was made before the 10th century. Built in the area that is now almost completely muslim, Buddha stands tall – unworshipped and lonely visited only by the rare tourist or pilgrim. 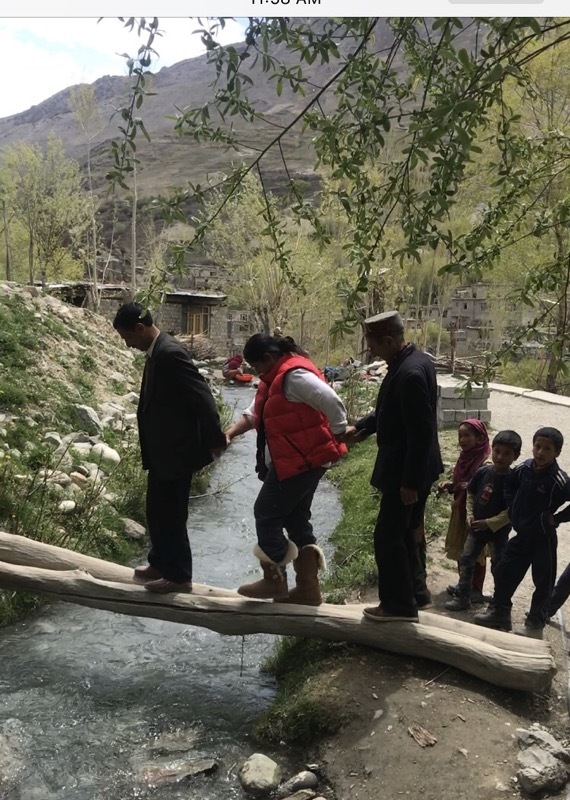 A little stream must be crossed to arrive at the sculpture. When we lamented the destruction of the Bamiyan Budha I had no idea that there are other similar sculptures in the region. In this strange world we live in, I found myself praying for this Buddha while the Buddhist conpanions prayed to him. More on two other ancient Himalayan Buddhas – The Mulbeg Chamba and The Yarma Gombo – to follow. 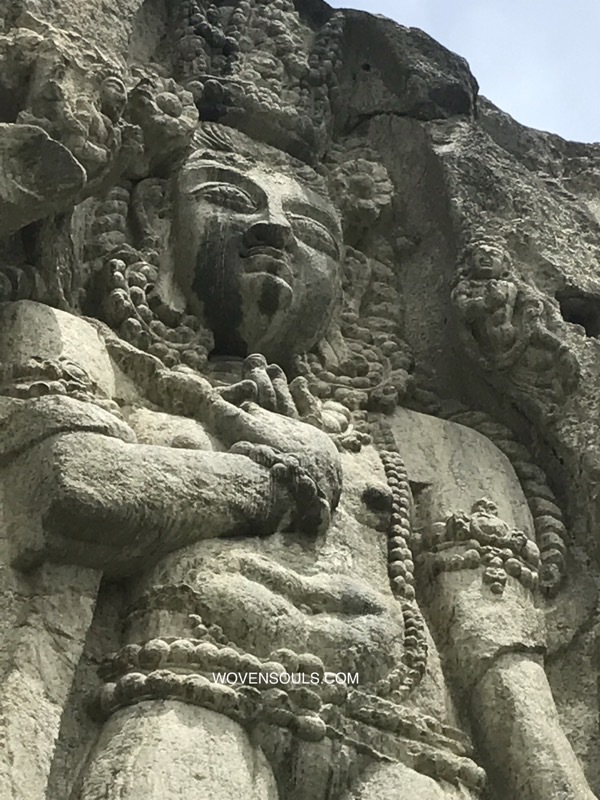 This entry was posted on May 13, 2018 by wovensouls in Art Kaleidoscope and tagged ancient, archaelogy, art, Art History, art photography, Arts, artwork, Buddha, Buddhism, Buddhist, carving, culture, folk art, handmade, Himalayan, himalayas, india, journey, ladakh, monk, mountain, photo, photo essay, religion, religious art, rock art, rural, sculpture, spiritual, stone, traditional art, travel, travelogue.